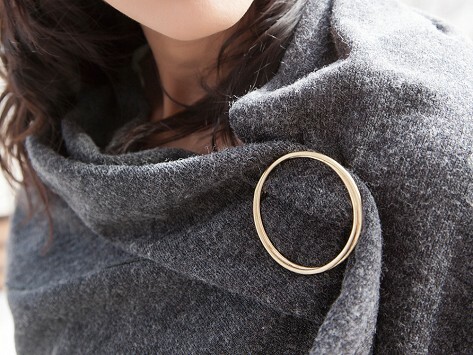 Place this sophisticated shawl pin on your City Wrap for a finishing touch, or to help secure it. Whether you’re wearing the City Wrap as a poncho, wrap, or tunic—or any of the styles—the pin adds shine and polish to any look. it is very pretty for my coverup. I ordered this pin with the city wrap and it looks great. For the price it is worth it. I bought both the silver and gold. I was not impressed with the up close quality of the pins. When we tried them on at the office, we found ourselves constantly reaching for our new favorite standby. We predict the City Wrap will become the go-to finishing touch in your wardrobe, too.